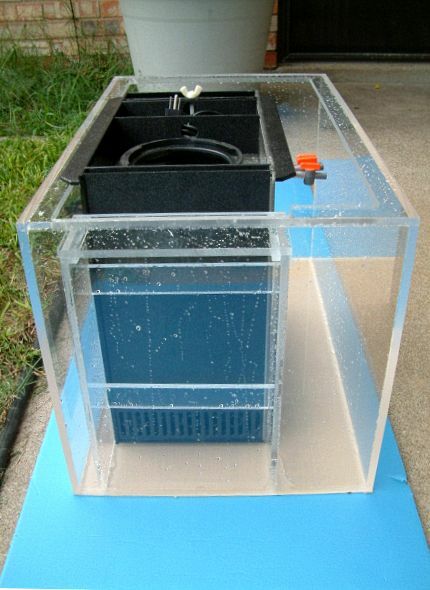 I was asked to build a small sump to house a skimmer made by DAS. 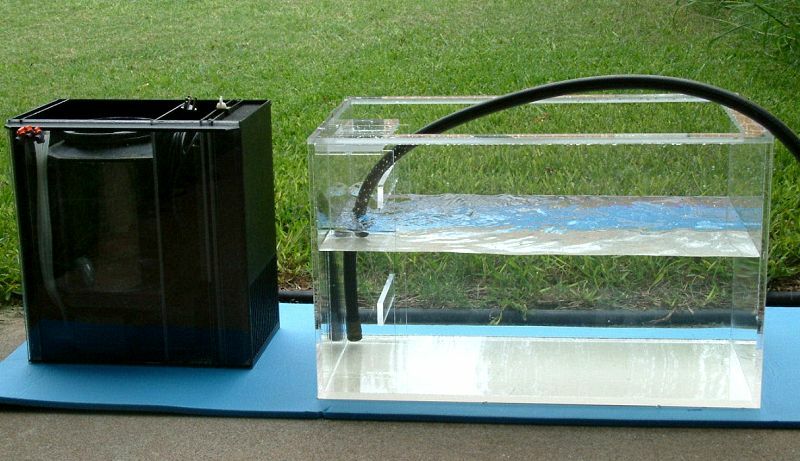 It's a self-contained skimmer that usually draws water in from the surrounding area. The rest of the available sump is purely the return zone. 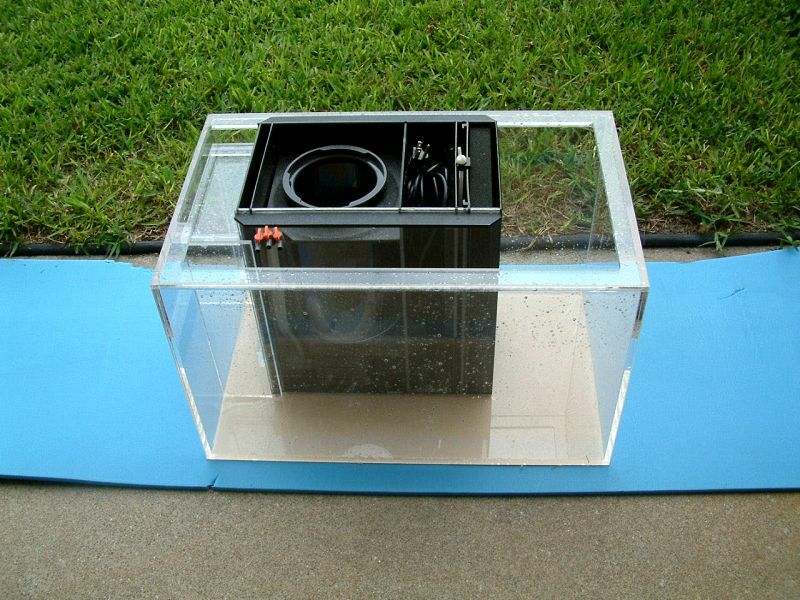 This sump is designed to hold a DAS protein skimmer assembly and a Mag 9.5 return pump. The design was very simple. 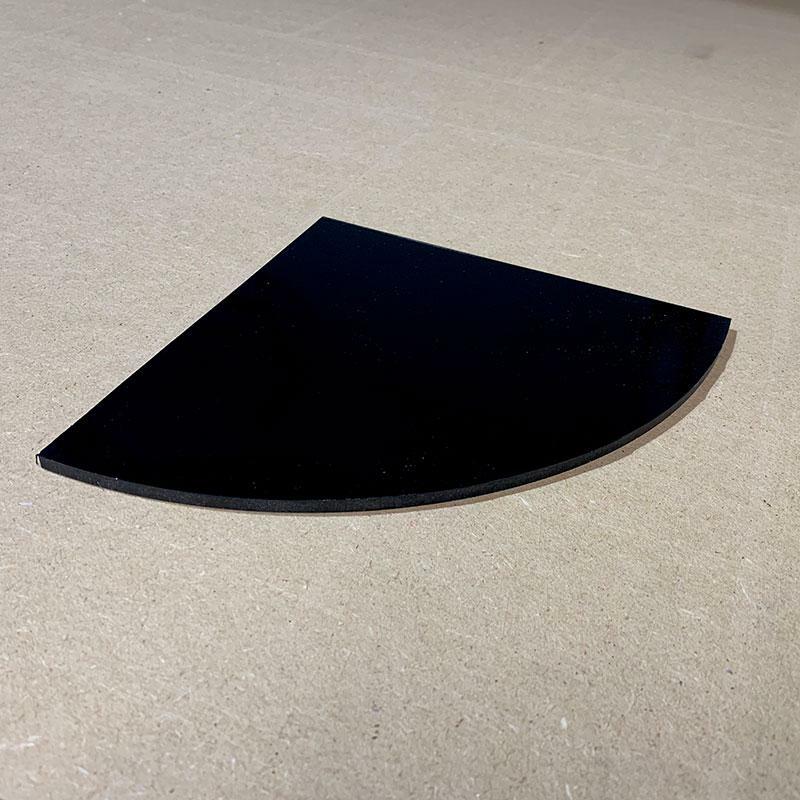 3/8" Acrylite was used for construction. The skimmer was removed for the water test. The collection cup is not in these pictures. Water will enter via this spot, once a 2 3/8" hole is drilled. 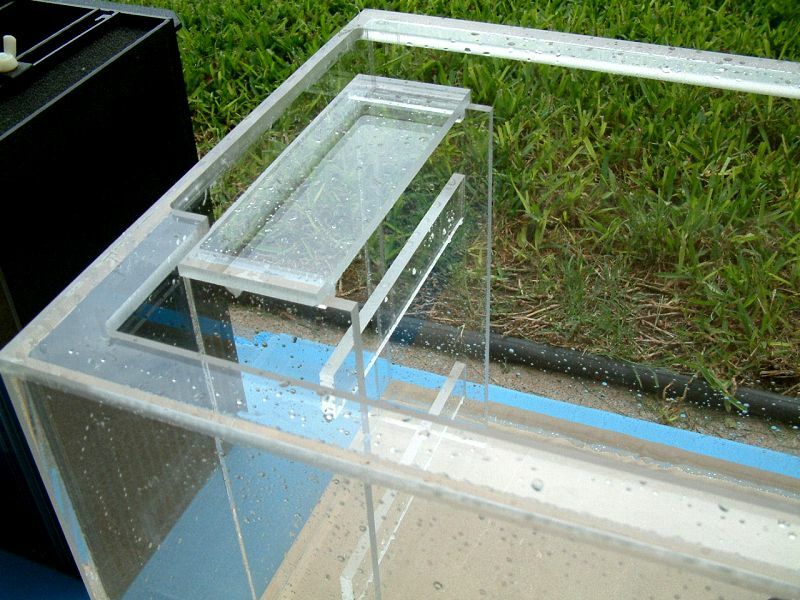 The DAS unit will fit snugly against this section, to trap bubbles from the downpour. 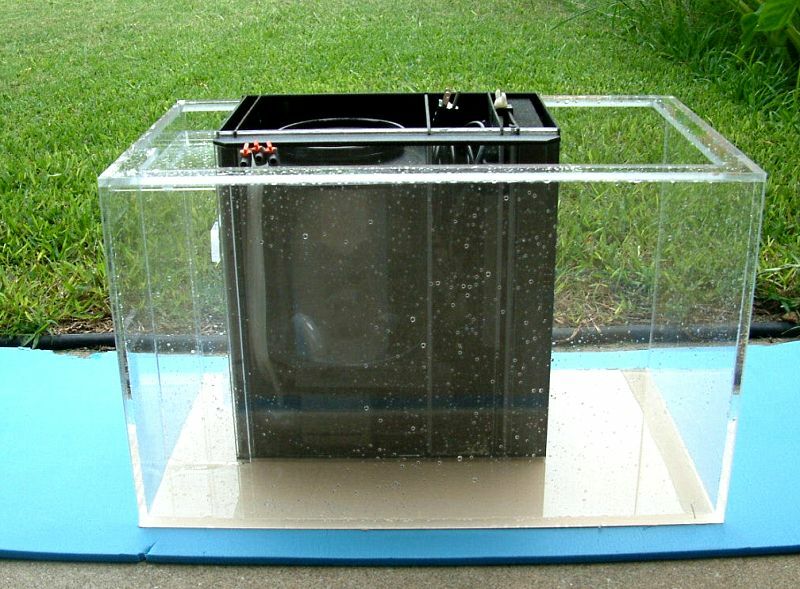 This sump is 26" x 16" x 16", with a 1 3/8" lip. 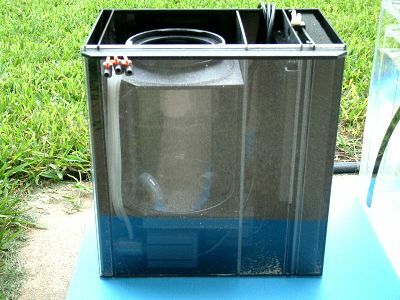 This skimmer operates off three proprietary pumps encased beneath. The jets are visible in the right picture. Three venturi valves adjust air intake. 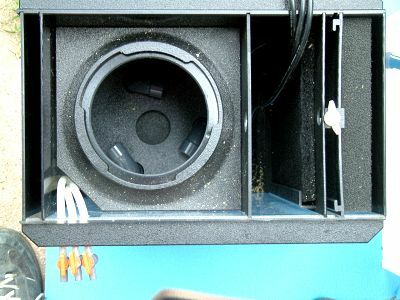 DAS stands for Dutch Aquarium Systems, and many people use DAS tanks in this hobby, because the mechanical filtratoin is built in to the display.